Commonly despised as noisy despoilers of picnics, gulls are actually adept communicators, model parents, and fierce defenders of their homeland. Ask most people about seagulls, and you are likely to witness reactions of loathing and disgust. At best, you’ll get indifference. These vagabonds of the bird world lurk around beaches, waiting to nab a morsel from an unprotected picnic. They despoil docks and form raucous flocks in McDonald’s parking lots, where they tussle for the last spilled french fry. But scientists see a different side of gulls. On their coastal breeding grounds, where they nest in colonies of thousands, gulls engage in a series of elegant, complex social behaviors. Their unruly flocks actually consist of choreographed postures and finely graded vocalizations that impose order, communicating everything from the presence of food or predators to anger, submission, hunger, cooperation, and pair-bonding. In fact, gulls have a noble history in the study of animal behavior. Gull vocalizations and stereotyped behaviors were the focus of work by Nikolaas “Niko” Tinbergen, a pioneer in animal behavior research and a Nobel Prize winner for the study of social organization in animals. 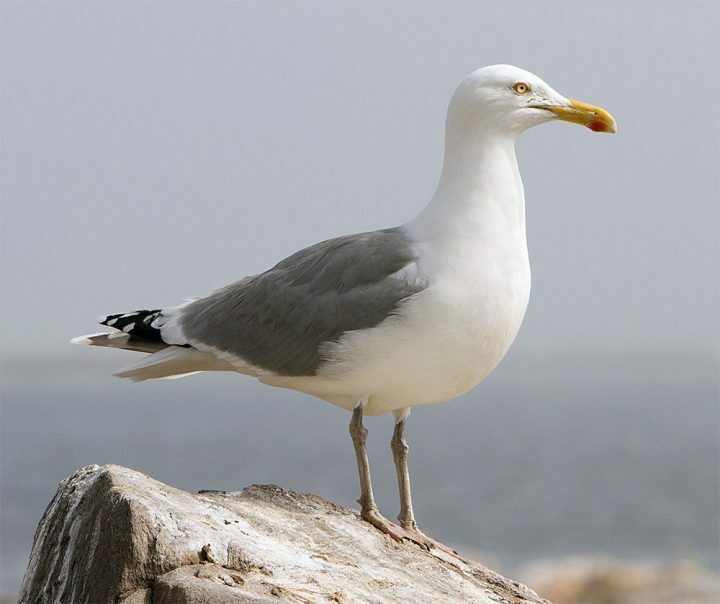 Gull behaviors described in research at Shoals Marine Laboratory can also be seen in many other species of gulls around the world. Photo by Jim Coyer. Tinbergen’s detailed observations and experiments on gulls in the 1940s and 1950s sparked the practice of studying bird behavior in the wild—a novel idea at the time. Since the 1970s, researchers at Shoals Marine Laboratory—co-operated by Cornell University and the University of New Hampshire on Appledore Island off the coast of Maine—have followed up on Tinbergen’s work by studying Herring and Great Black-backed gulls at their nesting grounds. Together, the findings from Tinbergen and Shoals paint a portrait of gulls as socially complex beings. Herring Gull. Photo by Jim Coyer. Great Black-backed Gull. Photo by Jim Coyer. When an intruder to a colony is identified—be it a fox or a human—gulls will issue a series of YEOW calls that identify the threat, pinpoint its location, and call in a squadron of defenders to drive it off. Illustrations by Chloe Lam, Bartels Science Illustration Intern. Walking into a gull colony is like a scene from Hitchcock’s The Birds, but with more sensory overload. You may have seen something like it if you’ve ever watched a mob of gulls descend on a bag of spilled chips on the beach, screeching and diving in a chaotic frenzy with hundreds of swirling wings, stabbing beaks, and flailing feet circling in a tight ball overhead. Yet it’s all executed with almost balletic grace by the swarm of birds. Researchers at Shoals have used sound and video analysis software unimaginable in Tinbergen’s time to study gulls’ response to an intruder on their territory. The ear-piercing sounds as gulls scream ‘YEOW!’ all at once seem like cacophony, but each vocalization contains subtle information that communicates multiple meanings of agitation and alarm to the birds. The gulls don’t just run around yelling “watch out!” but actually convey more nuanced information to each other about the severity of the threat. Yeow and kow-kow-kow calls. Recorded by Geoffrey A. Keller/Macaulay Library 133340. Yeow calls given under a greater threat condition, chick calls in the background. Recorded by Oliver H. Hewitt/Macaulay Library 44802. An analysis of spectrograms—a way to visualize sounds—shows that when a predator is closer, and thus more threatening, gulls give YEOW calls with increasing rapidity. These calls are also shriller with staccato elements that immediately draw the attention and aggressive response of listening gull neighbors. Conversely, when the perceived threat level is low, more time passes between successive YEOW calls and the calls themselves are less shrill, evoking a more moderate, cautious response from other gulls. Tinbergen observed that Herring Gulls also learn which individuals are worth paying attention to. He noted that they ignore alarm calls from individuals they know to be skittish, but freak out when trusted neighbors utter a sound. Building on his studies, researchers at Shoals experimented with playback calls of various species to reveal that Great Black-backed Gulls, which are bigger than Herring Gulls, respond with less alarm to Herring Gull calls than to alarm calls of their own species. Being bigger, they probably learn that most things that throw Herring Gulls into a tizzy wouldn’t faze them. Gull mates engage in what’s called a “choking display” to choose a nesting spot, murmuring and pointing their bills at a possible location. Mutual choking displays indicate agreement between the mates. Illustration by Chloe Lam, Bartels Science Illustration Intern. Watch and learn how Great Black-backed Gull and Herring Gull communicate using choking displays and long calls. 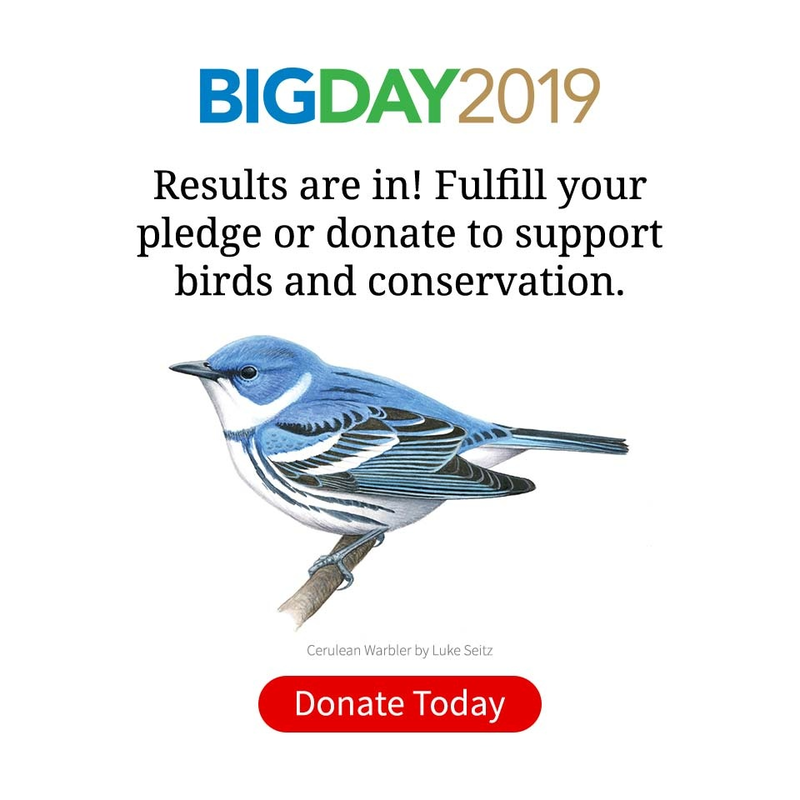 Excerpts from Signals for Survival, from the Cornell Lab of Ornithology and the Shoals Marine Laboratory. Gulls also communicate with their mates during the summer breeding season. The choking display is part of an often contentious debate between members of a pair over where to nest. Although two patches of ground may be indistinguishable to us, gulls spend considerable time discussing the attributes of the exact spot where the precious eggs will be laid. Choking displays involve a repetitive, delicate murmur given by one member of the pair who thinks it has found the ideal spot for the nest. The bird leans forward and points at the proposed spot on the ground where the nest should be built while producing the huoh-huoh-huoh choke call. A Western Gull with a chick tucked under her wing (and a second one sitting underneath her). Photo by Byron Chin via Birdshare. Human parents could learn a lot from gulls. For gulls, successful reproduction requires the complete attention of both parents, excellent communication and coordination, and a series of complex negotiations within their community—the nesting colony. But unlike human parents, if gulls reply on the neighbors to watch the kids, the little one might wind up on the neighbors’ dinner menu. Unguarded eggs or chicks may last only seconds in the rough neighborhood. That’s why gull parents split their duties, with one foraging for food while the other stays home to protect the nest. A Herring Gull stands guard over its well camouflaged chick. Photo by Per Andrén via Birdshare. Why nest in colonies if the neighbors pose such a threat? When an outsider such as a fox appears, those suspicious neighbors become the best of allies. Neighbors will join forces against the fiercest predators, including eagles, raccoons, and even humans. A study at the Shoals Marine Lab comparing gulls that nest in dense versus loose colonies showed that the survival of chicks is lower when there are fewer neighbors around. 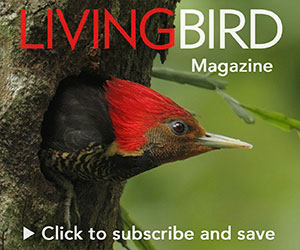 In areas with low nesting density, the survival probability of the third chick to hatch plummeted from 50 percent to less than 10 percent. Gulls are also the champions of overprotective parenting. Intruders who get too close to a nest are blindsided with a whack in the back of the head by the equivalent of a four-pound dumbbell. If the intruder is too disoriented from the impact to hastily retreat, the gull parents will rile up the neighborhood with YEOW! calls, calling in a squadron to squirt hefty amounts of putrid excrement on the intruder’s head, or maybe even a hearty helping of partially digested gull food. (Yes, vomiting is an effective defense mechanism.) Pecking, pulling, prodding, and pooping, gulls will do just about anything to get a potential threat away from their offspring. But like humans, gull parents calm down a bit as the chicks get older. A study at Shoals showed that nest defense is most intense right after eggs hatch, when gull chicks are weak and helpless. After about a week, the chicks have already learned the topography of their parents’ rocky territory in detail and eked out a hiding spot where they can disappear with their spotty, grayish brown, downy feathers. Many a researchers’ notebook on Shoals has days of blank entries and question marks for chick surveys, until the chicks outgrow their hiding nook and suddenly reappear on their territory. Long calls are a common gull vocalization in colonies, a series of screechy, hoot-like calls that begins with the beak pointing toward the ground and ends with the bird’s head pointing skyward. It communicates dominance. Gulls typically produce long calls at the end of a territorial skirmish, or perhaps after one bird displaces another for a prime spot on a pier. Illustration by Chloe Lam, Bartels Science Illustration Intern. Researchers at Shoals Marine Laboratory take frequent measurements of eggs and chicks at gull nests, a task that does not endear the scientists to gull parents. Photos by Jim Coyer. Researchers on Shoals develop an intimate appreciation for the intelligence of gulls as they work the colony, checking the same 75 nests every day for three months. Gull research requires recording the measurements of eggs and chicks, so the nesting gulls get to know the researchers as well, especially the one particular human who comes after their offspring. Many gulls nest around the buildings on the island, so researchers are frequently walking paths near their study subjects. But smart scientists soon learn to avoid walking a path near a nest where they gather data. Because while any other human may walk by that nest without incident, the approach of a nest’s researcher may elicit a vigorous attack from the parents. Scientists still haven’t identified how gulls recognize individual humans—by face, voice, clothing? But they do know one thing. Take the long way around your nests, or you may show up at dinner covered in fresh gull splatter.